This Friday, New Music in Bryant Park brings more fresh sounds to Midtown as Grammy-nominated Enso String Quartet takes the stage. Enso String Quartet travels through 500 years of music history. Enso String Quartet will take the audience through half a millennium of string music and push the boundaries of the genre. The group's repertoire spans from "Di, Perra Mora" written around the year 1550, to "Bagel on the Malecon," specifically written for the quartet by living composer Lev Zurbin. 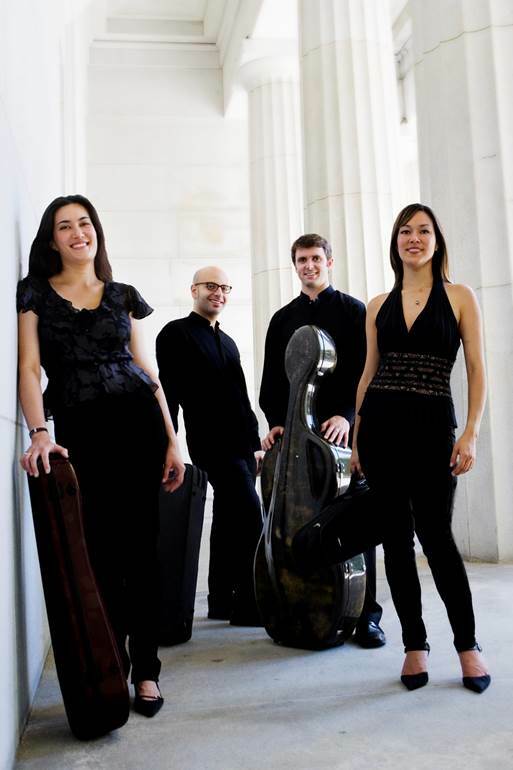 Through their set, Enso String Quartet will explore Rococo, Romantic, Renaissance, and contemporary-classical styles of music. The biggest treat in store is Enso String Quartet's performance of "Following Franz, Now," a companion piece to Franz Schubert's unfinished "Quartettsatz." Written by the Quartet with composer Kurt Stallmann, and commissioned by Chamber Music America, the piece explores local and structural repetition and results in a new work that contains trace memories of Schubert's original work in a new guise.